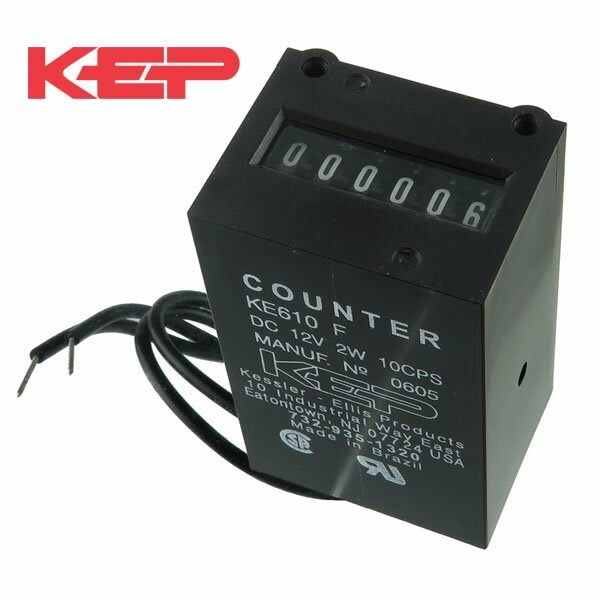 Kessler-Ellis KE610F-12VDC 6 digit non-resettable impulse counter increments one digit with each 12VDC impulse it receives. Has metal base with 2 holes threaded 4-40 to mount it. Size about 2.20" tall x 1.33" x 1.02". Has flexible insulated leads for connection. New.